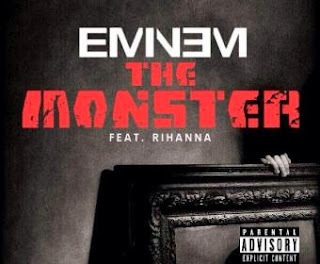 Lets talk Eminem and Rihanna's new single. Eminem has always been one of those artists that are always on my iPod, but don't always listen to. He has been in the music industry for as far as I can remember! I used to listen to him every weekend when my parents went to visit their friends as their kids were obsessed! I guess you could say that I have grown up listening to his music, so it's nice to see that the artists I grew up with are still in the industry! #EmbarrassingFact The first time I saw the video for Stan, I bawled! It made me so sad! Maybe because I was just an emotional child and cried at everything that made me feel, but I think on some levels I genuinely felt sorry for Dido! Anyway, he has collabed with Rihanna before, as well as numerous other artists, but none of them are like this! Eminem only gets better with age, and Rihannas vocals are perfect. The lyrics are also a win for this song, as there are SO MANY FEELS! "I'm friends with the monster that's under my bed, get along with the voices inside my head, you're trying to save me stop holding your breath, and you think I'm crazy, you think I'm crazy.... well thats not fair"
I am actually obsessed! I would love for Rihanna and Eminem to create an album together! I ship them! EMINANNA? Maybe one day! Obviously as a musical duo! Comment/tweet me and let me know what you think!